With Breyerfest British Invasion just behind us and the Summer Olympics in Great Britain just staring, there’s no wonder why British horse breeds are the talk of the town! From ponies to draft horses and everything in between, the breeds of Great Britain are diverse as they are popular and are fascinating to say the least! Some of the most well known breeds of British horses are the ponies we all know so well. The classic Shetland Pony is the first mount for many young riders. With their spunky personalities and compact size Shetland Ponies are ponies that you’ll never forget! Another well known pony from the harsh land of Great Britain is the Highland Pony. This sturdy and hearty pony is not only strong but also beautiful with it’s common dun coloration! One of the staples of the British horse world is the Welsh Pony. There are four different types of Welsh Ponies that are divided into sections, A, B, C, and D. Ranging from a compact sport pony with delicate lines and movements to a sturdy cob that is capable of pulling the family wagon, the Welsh Pony is a breed all it’s own. One of the more popular breeds in Great Britain and around the world currently is the Gypsy Vanner. These compact draft horses typically stand under 15 hands high and come in a huge variety of colors. The most well known are black and white pints but they can be just about any color of the horse rainbow. With their full feathers and long manes and tails there is no mistaking the fantasy of the Gypsy Vanner. Great Britain also brought us one of the most recognizable breeds in the world, the Clydesdale. This strong and gentile breed is most well known for it’s bay coloration with high white markings. Clydesdales can also come in a few other colors too including grey and a beautiful blue roan. Jump onto the British fever bandwagon with Golden Oak Stables and bring home a new British horse today! From big to small and everything in between, Great Britain is a land that has shaped the equestrian world in a big way! The British invasion didn’t stop at Breyerfest 2012 with Mariah’s Boon, many other horses galloped their way to Kentucky this past weekend to entertain horse lovers from all over the world! With favorites like Tommy Turvey coming back for another exciting year of Breyerfest entertainment and new performers The Knights of Valor, there was no shortage of entertainment! Some of the most exciting guests were the real life counterparts to many new Breyer models. From CH Sprinkles to Hartland High Tech, there was no shortage in amazing horses! Guests were awed and amazed all weekend with some of the most exciting horses in the world! Bringing champions from all disciplines to Lexington Kentucky, Breyer hailed Breyerfest 2012 as the highest attended Breyerfest of all time, and there’s no question why! Champion saddlebred CH Sprinkles brought her flashy coat and beautiful movement to the bluegrass! Kentucky is known for it’s Saddlebreds, but Sprinkles certainly had no trouble standing out in a crowd! Lil’ Ricky Rocker is a staple of Breyerfest, being ridden in opening ceremonies for many years now! This year was no exception. He also wore an exciting Native American costume for his fans showing the roots of the Appaloosa breed on the high plains of the United States. Heartland High Tech was one of many Hackney Ponies that came to the Kentucky Horse Park to strut their stuff and show the versatility of this little known breed! Showing under saddle and with a cart the Hackney Pony is a small but powerful breed that turns heads wherever it goes! Even if you couldn’t be at Breyerfest 2012 you can still bring a bit of it home with a Breyer model of one of the amazing guest horses. Golden Oak Stables can bring a little of Kentucky and Breyerefest to you, celebrate these amazing horses today! Breyerfest 2012 wrapped up yesterday at the Kentucky Horse Park after three days of excitement and fun for thousands of model horse hobbyists. With the highest attendance ever, Breyerfest 2012 brought everything British to life with it’s celebration of everything from the United Kingdom. 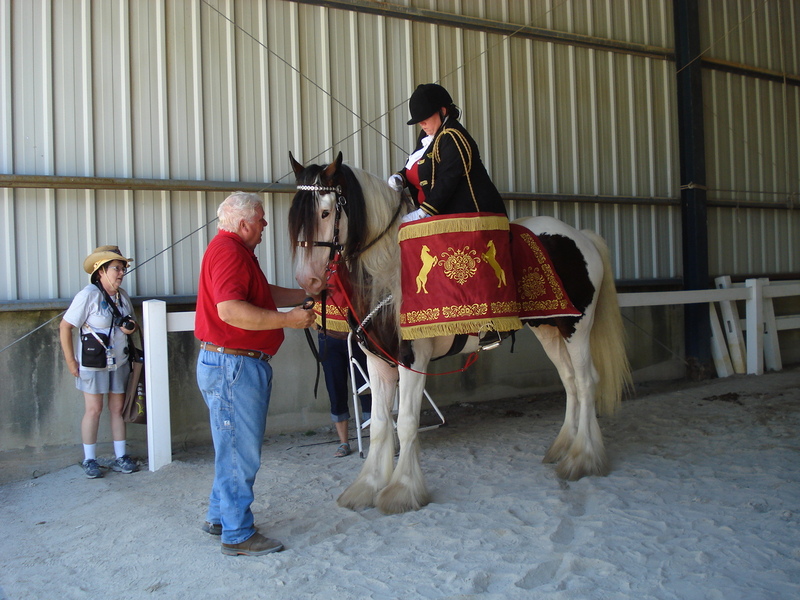 From the horses to the culture, Breyerfest 2012 was a fittingly British affair for everyone! Breyer’s celebration model, Mariah’s Boon, is an American Drum Horse that brings all of the characteristics of the Queen’s personal drum horses to horse lovers all over the world! With his gorgeous paint markings and one blue eye, Mariah’s Boon stands out in a sea of horses! Boon didn’t always have an easy time though, he was once very ill from an accident that developed an abcess. 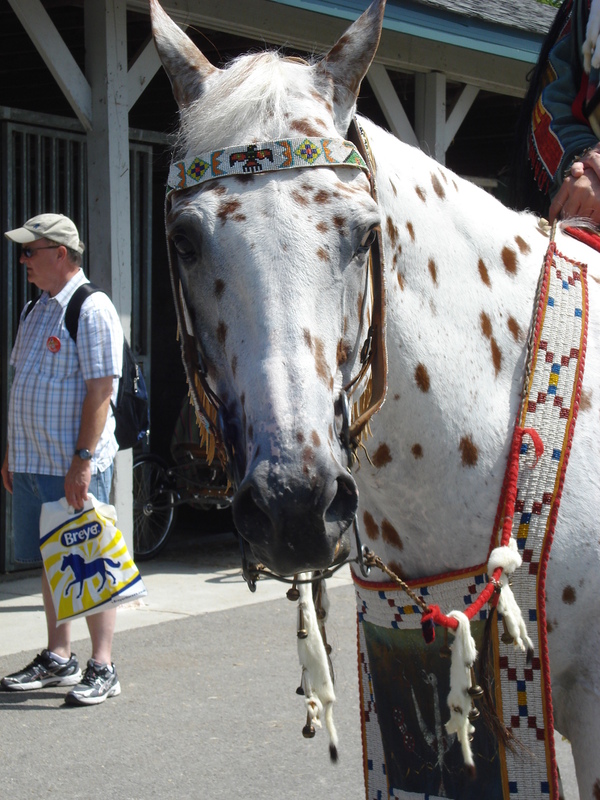 After a year of expert care Boon was looking better than ever and wowed his fans at Breyerfest by carrying the twin drums on either side of him as his rider brought the spirit of the drum horse to Breyerfest attendees. Attendees also had the opportunity to meet real British hobbyists like Amy Davies and Donna Chaney! The fun didn’t stop there though, with three horse shows, Breyerfest had chances for china collectors, adults and children to show off their best horses in hopes for that coveted blue ribbon! 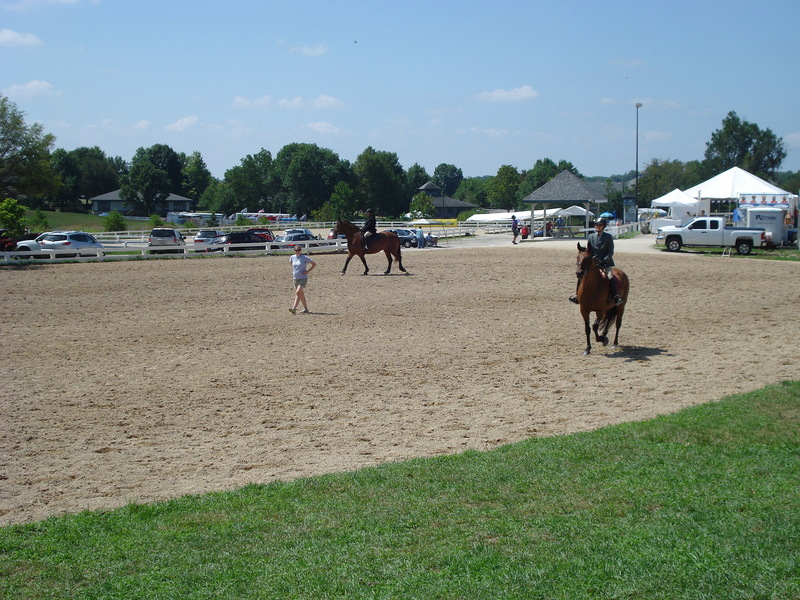 Breyer also brought a myriad of workshops and seminars to the Kentucky Horse Park! From how to show and judge model horse shows to learning about equine color, the seminars were both informative and fun! There was no excuse not to learn something new at Breyerfest this year! The workshops gave aspiring artists and collectors a chance to create something new for their collection. Sculpting and painting with some of the most well known artists in the hobby isn’t a chance you get every day and it certainly was the chance of a lifetime for many! You could even learn fun things like jewelry making or making your own model horse tote! There truly was something for everyone! 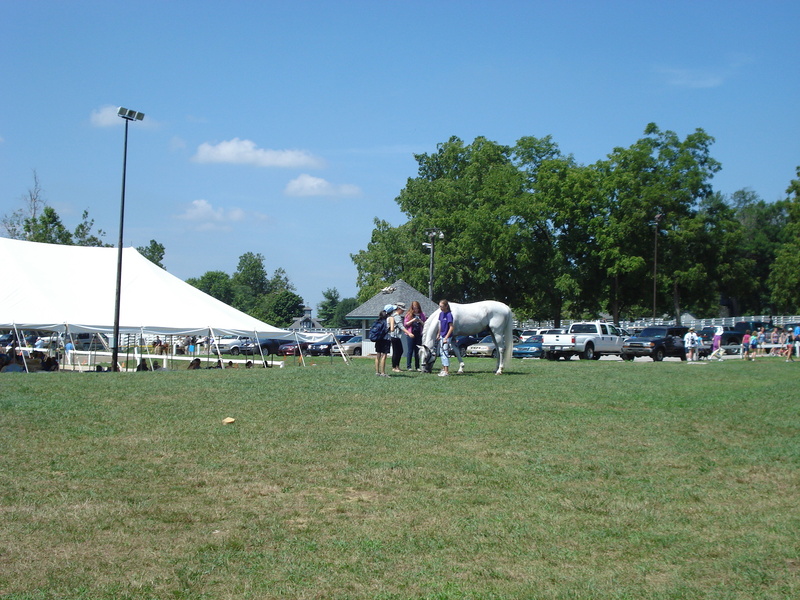 Breyerfest 2012 may have come and gone but there’s still plenty to talk about! Stay tuned to Golden Oak Stables and Stable News for all of the info on the guest horses of Breyerfest 2012, you won’t believe how amazing they are! Celebrating equine superstars is one thing that Breyer does best! Breyer and renowned sculptor Brigitte Eberl bring Breyer collectors one of the world’s most famous horses, Totilas! Known throughout the world as the dressage champion Totilas is a Warmblood that has taken the world by storm! This 12 year old Dutch Warmblood stallion is striking with his black coloration and four short white socks he’s beautiful as he is talented! Totilas began his career in 2006 and quickly it was clear that he was a star! With big wins in the European Dressage Championships in 2009 he was well on his way. With amazing gold medal performances at the 2010 World Equestrian Games Totilas made his way into the history books! Totilas is the only horse to ever score a score over 90 in Dressage and has found fans from his amazing performances! Breyer has teamed with one of the hobby’s most famous sculptors, Brigitte Eberl, to bring Totilas to life! Created in a stunning new sculpture, Totilas is made out of a resin that captures the details of this amazing piece art! Totilas has been captured performing the classic piaffe a dressage movement that requires an extreme amount of precision and concentration! His striking black color has been recreated in perfect resemblance right down to his four white socks. He stands on a sand sculpted base resembling the footing in the world’s most prestigious dressage arenas! A new sculpture combined with an amazing horse and an amazing sculptor is the winning combination! With Totilas still in his prime there’s no telling what career wins are still to come. With a horse as impressive as Totilas, everyone’s waiting with baited breath to see just what he can accomplish! Bring home a bit of equestrian history with Totilas from Breyer and Golden Oak Stables! Breyer Horse Classics: A Stable For Your Herd! Creating the stable of your dreams is a goal for many collectors. Making that perfect stable full of stars may seem out of reach, but with Breyer the dream can come true for anyone! Now Classics collectors can bring a new stable home to your herd and start on your way to a stable of stars! New for fall 2012, Golden Oak Stables brings you the Classics Country Stable. The first stable of it’s kind, the Country Stable is a beautiful shade of light blue with accents of white giving it lovely contrast. The feel of a real country barn has been created with panel siding and white washed accents. Its open and airy design has large windows that make the barn breezy and cool and surround the barn fully along with a high loft design! The barn is ready for your star horse with a large box stall that can double as a mare and foal stall! Next to the large box stall is a wash stall that will come in handy for keeping your horses clean and show ready! Still not complete the Classics Country Stable is your complete farm coming with white panel style fencing perfect for creating a run out section behind the barn or a small paddock on it’s own! Your horses can experience the carefree life grazing in their very own paddock on a warm summer day.Breyer has made one key feature that is perfect for collectors, the Classics Country Stable snaps together for easy assemblage and storage! Helping you to create the stable of your dreams in every possible way, Breyer and Golden Oak Stables bring Classics collectors the perfect stable! With it’s country chic charm and bright blue color, everyone will be riding their way into the stable! Horses will be coming from far and wide to make their home in your new barn! Breyer Horse Events: Breyerfest Surprise Guests! Breyerfest is just about a week away and Breyer has once again surprised us all by adding two new special guests to their lineup of equine superstars! A Breyerfest favorite, Lil’ Ricky Rocker will be coming once again to greet fans new and old. Also on their way to Kentucky next week is Heartland High Tech, a little Hackney pony with tons of style and flare! It’s no surprise that Lil’ Ricky Rocker was chosen to be a guest at Breyerfest 2012, If you’ve been to Breyerfest in the past few years, you’ve probably noticed the stunning chestnut leopard Appaloosa that Stephanie rode in Breyer’s opening ceremonies. 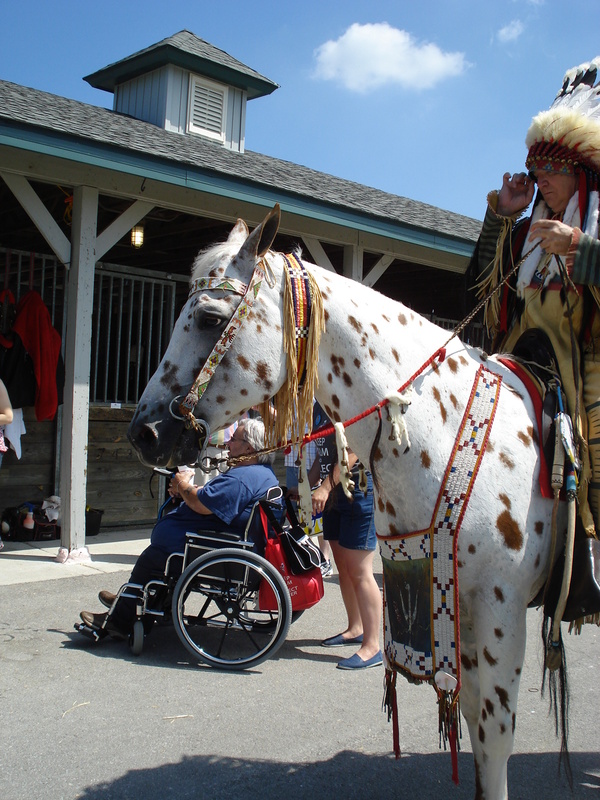 He also was always on hand to meet visitors and teach them about the Appaloosa breed. His color makes him stand out but his sweet personality made him memorable for all. This year, Breyer decided to immortalize Lil’ Ricky Rocker with his own Breyer and now he’s on his way to Breyerfest as a guest of honor! Heartland High Tech brings a little of the British Spirit with him, this Hackney Pony ties its roots to the British Isles, being bred to be compact and pull carriages for their owners. Heartland High Tech is a stunning example of this rare breed! The Hackney Pony is known in America for it’s unique gait, show stopping good looks and their flare! Heartland High Tech certainly has all of those thing and more! Combined with a list of wins and championships that is miles long, Heartland High Tech is truly the little pony that could! There is a bit of sad news that comes along with these new guests, Padre, the Mustang dressage champion suffered an injury a few weeks ago that will prevent him from attending Breyerfest 2012. We wish him a speedy recover and will miss meeting him. 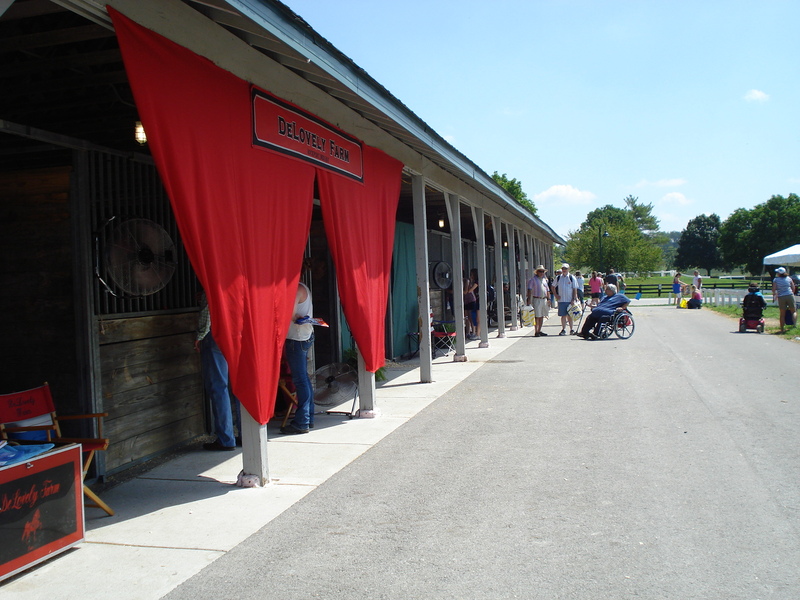 Golden Oak Stables and Stable News will bring you all the action, excitement and of course guests of Breyerfest 2012. From the smallest to the largest, each guest this year is impressive to say the least, and with two surprise guests it’s sure to be an event to remember! Each year Breyer invites collectors from near and far to come to the Kentucky Horse Park and celebrate the spirit of the horse! Every year Breyer also brings equine superstars from all different walks of the equine world to Kentucky for attendees to meet! This year the horses come from all parts of the equine word to showcase their talents for one and all! With a British theme, it’s no surprise that for Breyerfest 2012 a few British breeds would be present! The celebration horse is a Drum Horse suitable for the, Queen! 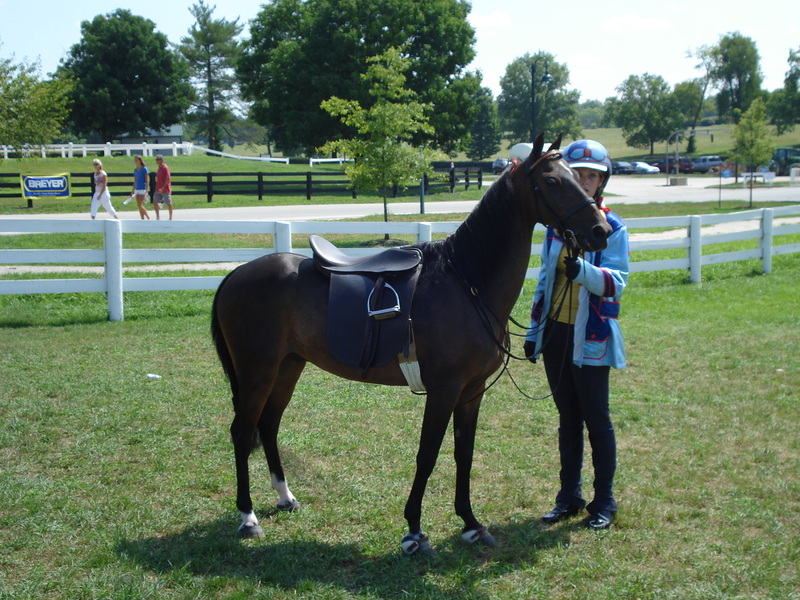 Mariah’s Boon is a bay pinto Drum Horse, a breed known for being part of the Queen’s cavalry! Made up of 7/8 draft and 1/8 Gypsy Vanner, Mariah’s Boon is a stunning horse in every way possible! Also bringing the British Theme to Breyerfest is Taskin a Gypsy Vanner that has caught many people’s attention with his striking buckskin coat! Taskin is a stunning stallion that can do just about anything from English to Western all the way to driving a cart, Taskin shines everywhere he goes! Two horses from the current Breyer lineup will make their way to Kentucky next week, Padre and CH Sprinkles! Padre is a Mustang that has found his way into the winners circle at one of the most prestigious equine events, Dressage at Devon! This bay Mustang gelding is a true star, from his unimaginable ability to learn to his amazing success, it’s no surprise that Padre has taken the word by storm. 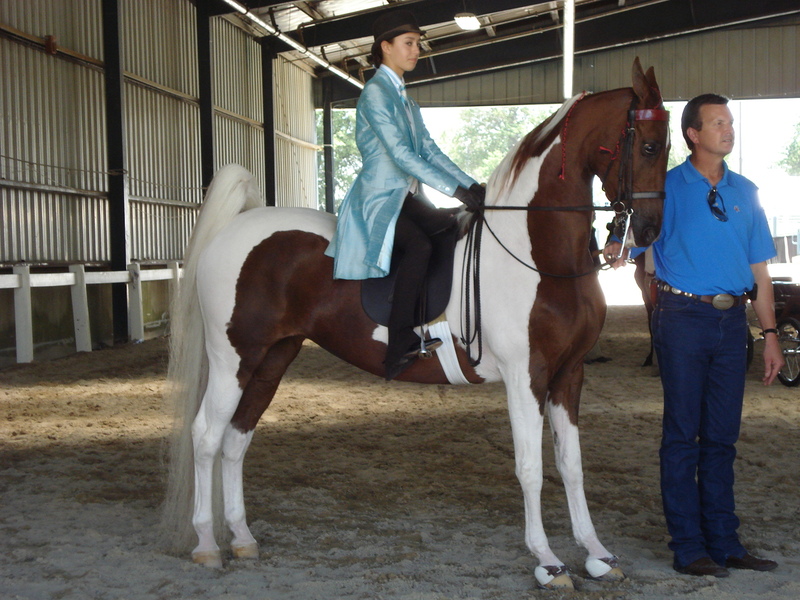 Lastly but certainly not least is CH Sprinkles a chestnut pinto Saddlebred who has more wins under her belt than many horses could ever dream of! Leading her young rider through championship after championship, CH Sprinkles has been an amazing competitor! She’s even been part of the World Equestrian Games opening ceremonies and the Rose Bowl Parade! It’s no question that the guests of Breyerfest 2012 are amazing in every way possible, with beauty, style and grace all of them bring together parts of the equine world for us all to experience! If you aren’t able to see them in person, you can still bring a little bit of Padre and CH Sprinkles to your barn with Golden Oak Stables and help them live on in eternity! You are currently browsing the Stable News blog archives for July, 2012.